Sometimes its best to be blunt. For reals. Sometimes its best to be blunt. 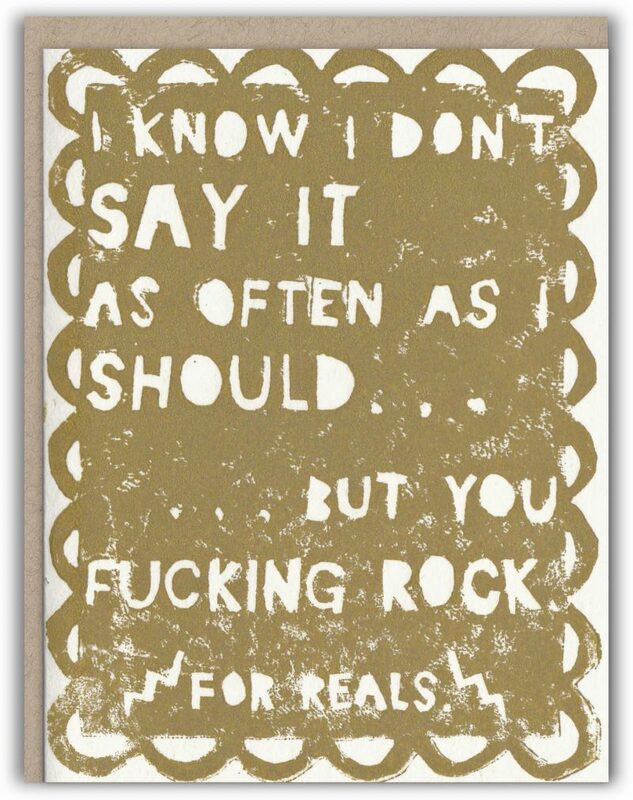 Effing Rock greeting card is 5.5″ x 4.25″, envelope 5.75″ x 4.375″. Notecard interior is blank. Block printed by hand on recycled paper.